Madagascar Wildlife Conservation works exclusively in the region surrounding Lac Alaotra, near Andreba, Madagascar (commune of Ambatosoratra) in the special conservation zone of the Alaotra New Protected Area. 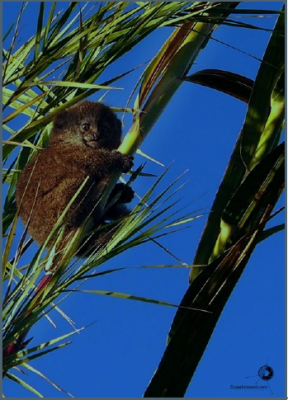 In this region, MWC protects the critically endangered Alaotra Gentle Lemur. 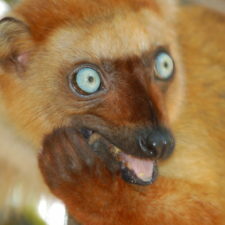 This is the only place in the world where this lemur exists in the wild. MWC promotes long-term initiatives in this region that integrate biodiversity conservation, environmental education, and rural development using a scientific approach. 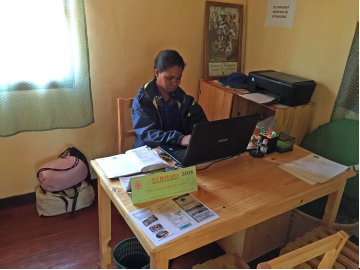 Their three programs on education, ecotourism, and alternative livelihoods are ongoing and will be continued in the next years. MWC’s focus in the next couple of years is on Bandro habitat restoration to reconnect isolated and fragmented subpopulations. 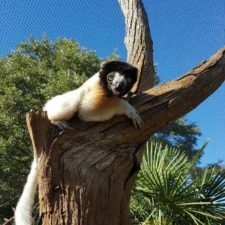 What lemur species does MWC protect? 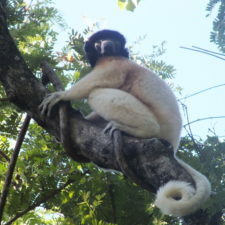 The population of the Alaotra Gentle Lemur has dropped from 11,000 individuals in 1990 to about 3,000. This species could be extinct in less than 40 years. The destruction of freshwater marshes through slash and burn techniques and poaching are largely to blame. 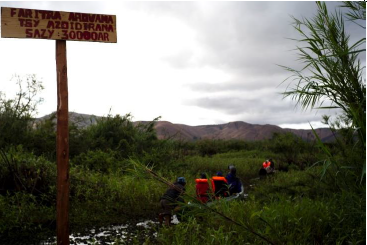 MWC works with the local community in the region surrounding Lac Alaotra to mitigate these threats and protect this lemur species from extinction. 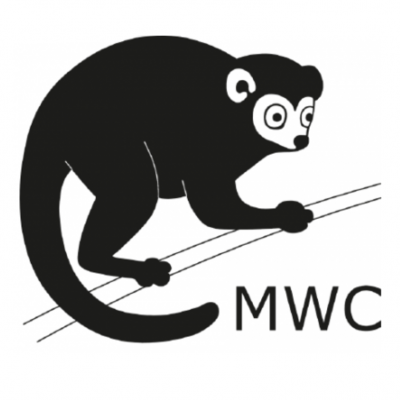 How is MWC protecting habitat for lemur conservation? 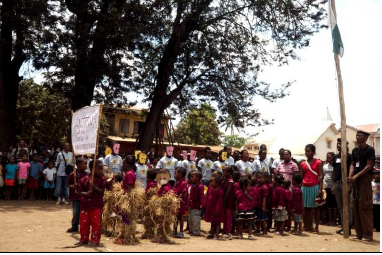 Since 2006, Madagascar Wildlife Conservation (MWC) encourages local communities to learn about, take interest in, and ultimately understand and value their environment. Education is one of the most important requisites for a better living standard as well as for sustainable conservation. 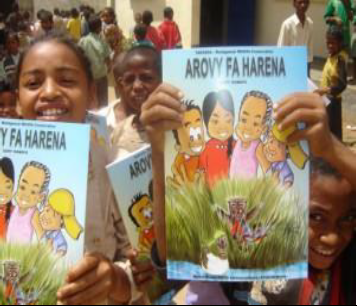 Therefore, MWC implements environmental education in the public primary schools (EPP) of the Alaotra region by distributing a comic book in Malagasy language “AROVY FA HARENA” which translates to “protect, because it is richness”. The goal is to raise public sensitivity and appreciation for the importance of an intact lake and preserved marshes. An evaluation conducted in 2011 and 2012 showed a significant increase in environmental knowledge of students receiving environmental education compared to controls. 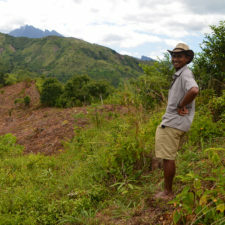 MWC also promotes sustainable ecotourism in the Alaotra region. 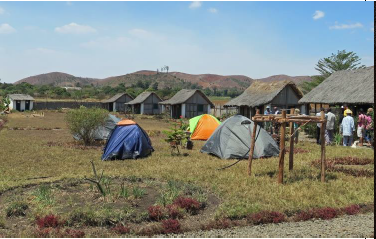 Camp Bandro is a tourist facility close to the village Andreba and the special conservation zone Park Bandro. Trained guides take the tourists on a discovery tour in a pirogue. On the lake and in the reed and papyrus marshes in Bandro Park, they can observe the rich variety of birds and the highly endangered Bandros themselves. The management of this facility is a community-based project which serves as a source of further income for the villagers and generates income to finance micro projects for the community, like wells and market stands. 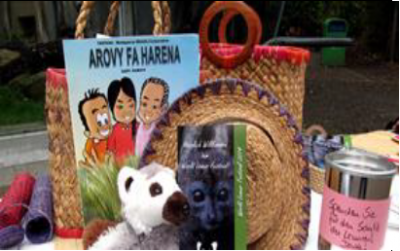 Additionally MWC supports the creation of alternative revenue sources to develop sustainable local microprojects. 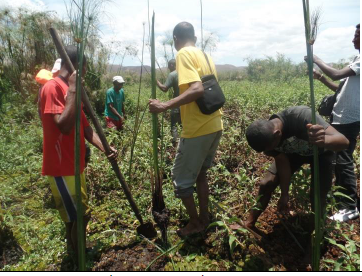 The aim is to elicit local competence in sustainable resource management, which respects the needs of the villagers and encourages new perspectives. 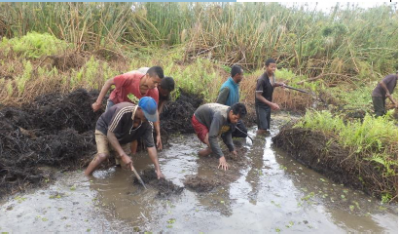 This approach is the background of a project which encourages the villagers to use the invasive water hyacinth as an alternative revenue source. MWC collaborates with various stakeholders, from local village associations to regional NGOs, official authorities, and universities. 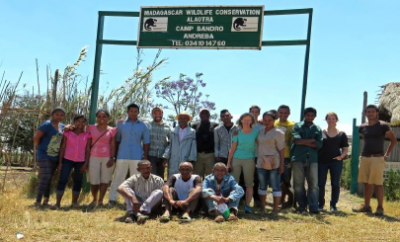 Durrell Wildlife Conservation Trust Madagascar: NGO with regional office in Ambatondrazaka (Alaotra), responsible for the conservation and management of the New Protected Area Lake Alaotra. 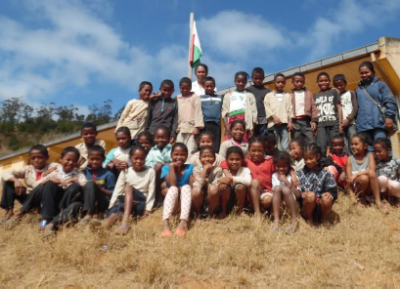 Alaotra Rano Soa: Malagasy association based in Ambatondrazaka, responsible for the management of the New Protected Area Lake Alaotra. Ministry of Environment, Ecology, Sea and Forests: responsible for the governance of water and forests. Ministry of Fisheries: responsible for the governance of fisheries. Ministry of Agriculture: responsible for the governance of agricultural production and land.